Viknesh Vijayenthiran March 7, 2017 Comment Now! 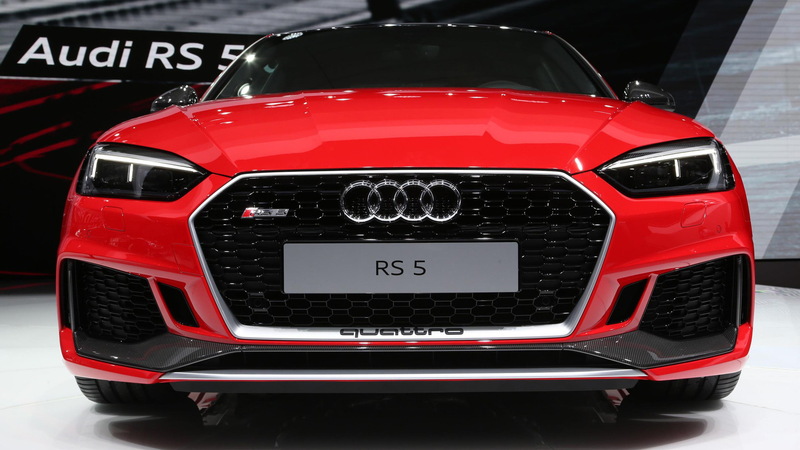 Audi Sport (formerly Audi Quattro) unveiled a new generation of its RS 5 on Tuesday at the 2017 Geneva auto show. As expected, the car has ditched its predecessor’s naturally-aspirated V-8 and adopted a twin-turbocharged V-6 power. The engine is the same twin-turbocharged 2.9-liter V-6 that made its debut in the 2017 Porsche Panamera 4S and is rated here at 450 horsepower and 442 pound-feet of torque. 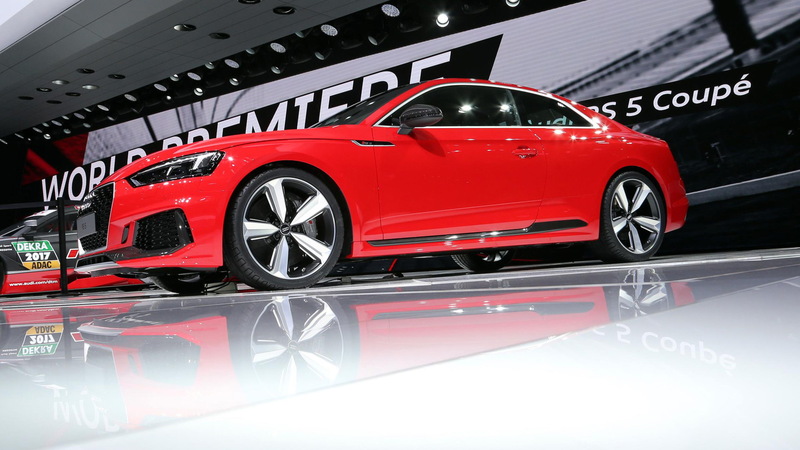 That compares to the 450 hp and 317 lb-ft of the 4.2-liter V-8 fitted to the previous RS 5 and the 440 hp and 406 lb-ft the twin-turbo V-6 produces in the Panamera 4S. Audi quotes a 0-62 mph time of 3.9 seconds and a top speed of 155 mph. As an option, buyers will be able to get the top speed raised to 174 mph, though this is still a governed figure. The engine is paired to an 8-speed automatic transmission and drives all four wheels via a rear-biased all-wheel-drive system. 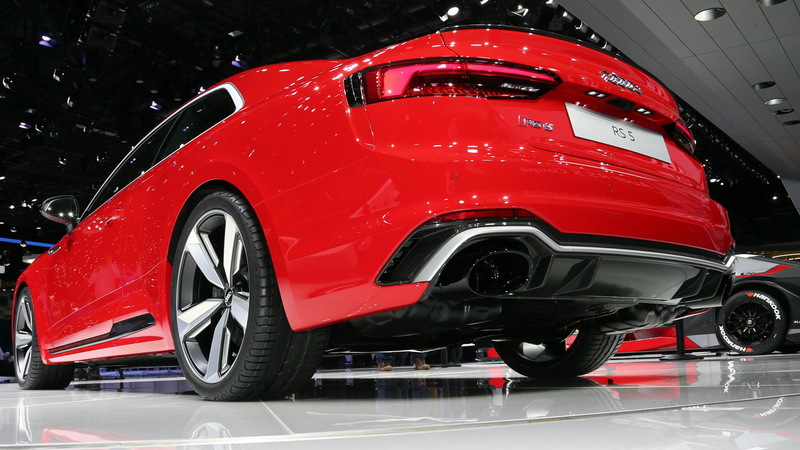 Buyers will also be able to opt for Audi’s sport differential at the rear that splits the torque between the rear wheels for even better handling. Note, this same mechanical package will make its way into a new generation of the RS 4 due to be unveiled later this year. We’ll also see an RS 5 Cabriolet at some point and we might be treated to an RS 5 Sportback this time around, too. 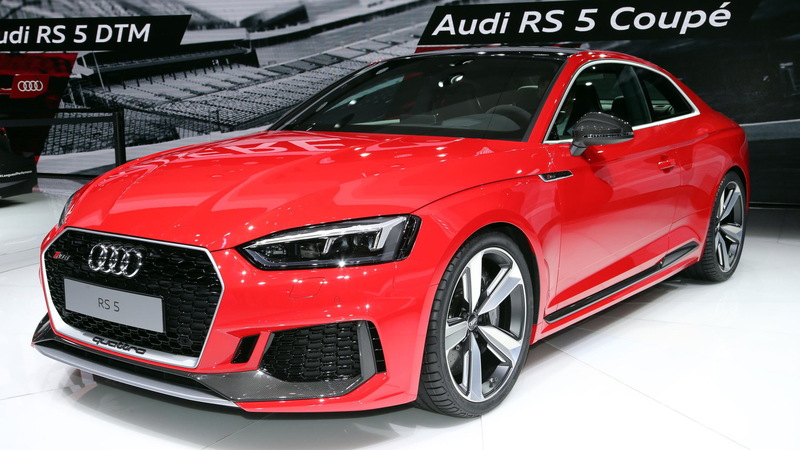 Audi is also keen to highlight the more distinctive styling of the RS 5, which has been implemented to further differentiate the Audi Sport models from the regular Audi fleet. The designers took inspiration from the 90 Auattro IMSA GTO race car of the late ‘80s and added massive air intakes with a honeycomb structure up front, new vents integrated with the lights and pumped fenders that add approximately 0.6 inches of girth compared to the stock A5. You also get all the standard RS fixtures such as dual-oval exhaust tips, big wheels (19- or 20-in), and lowered suspension. Among the options are magnetic ride control, carbon-ceramic brakes, and a carbon fiber roof with a visible fiber structure. 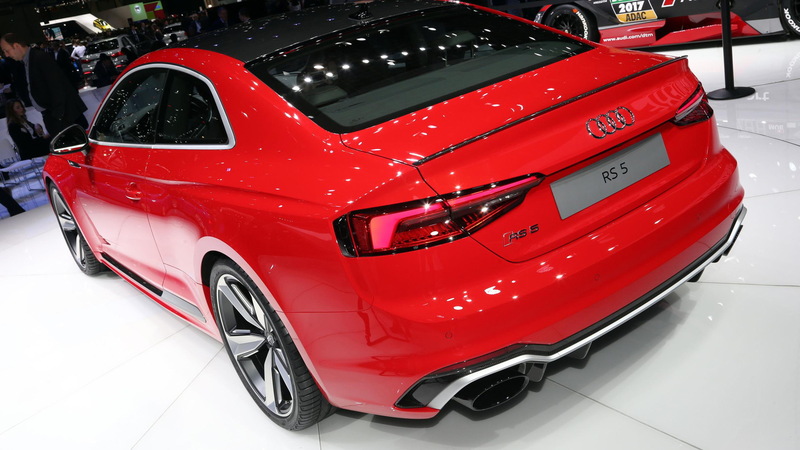 Deliveries of the RS 5 will commence in Europe this summer. Unfortunately, we're not expecting the car in the United States until the spring of 2018.